While out fishing your guide will often filet your catch and keep the filets in 5 gallon buckets in slush ice in a cooler. This quick processing and icing of your catch result in a higher quality, especially on the warm days. At the end of the fishing day your catch is dropped off in Pelican where Yakobi Fish picks it up for portioning, vacuum sealing and freezing. 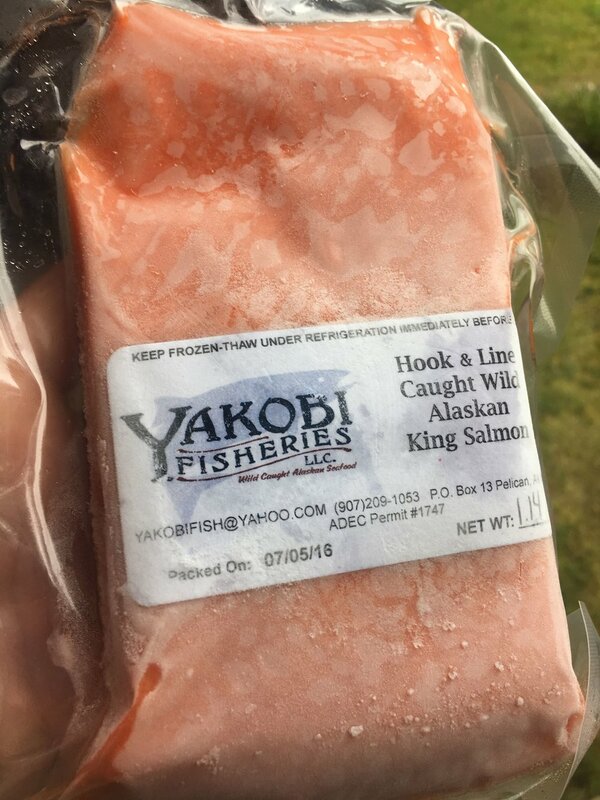 The crew at Yakobi fish strives for a package size of around 1 pound, which is perfectly sized to feed two people and will reduce wastage when defrosting and cooking making your catch go farther.